5th Sainsburys TU Travel Mug | What Car? The cup did an average job of keeping the drink hot the temperature inside was 49C after a couple of hours. The TU isnt designed to be watertight, but it doesnt drip anywhere near as quickly as some other cups when knocked over. Its simple design is easy to pick up and drink from simply twist the centre of the lid to open the drinking hole and take a sip. 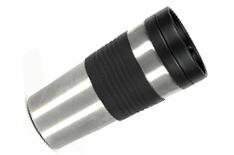 The rubberised grip around the centre of the cup makes this easier. Its hard to argue with the 3 pricetag but the cup is only available in store not online. Felt surprisingly classy given the budget price. The brushed metal casing should resist scratching well. Not a lot here but it is just three pounds.